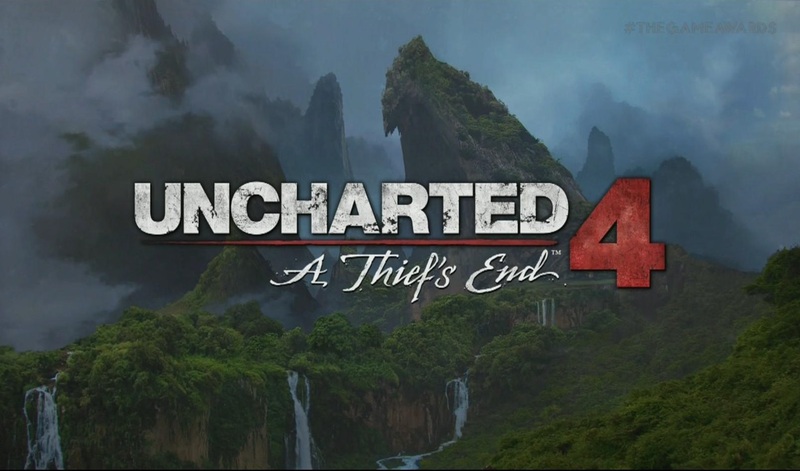 After much fuss and excitement, Sony finally kicked off its first annual PlayStation Experience event just a few hours ago, and the opening credits go to a lengthy real-time gameplay demo of Uncharted 4: A Thief’s End running on the PlayStation 4 console with stunning next-gen visuals and impressive in-game mechanics. 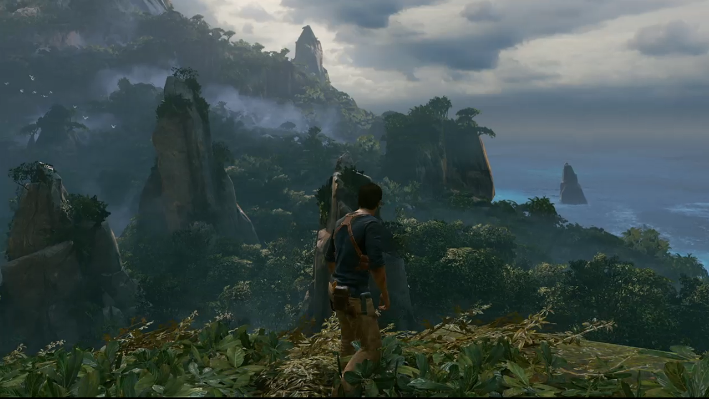 Set to release next year, the upcoming title in Naughty Dog’s most critically acclaimed video game series looks very much familiar in style to the previous titles but it is absolutely stunning graphics wise. You can check out the newly released gameplay footage below. 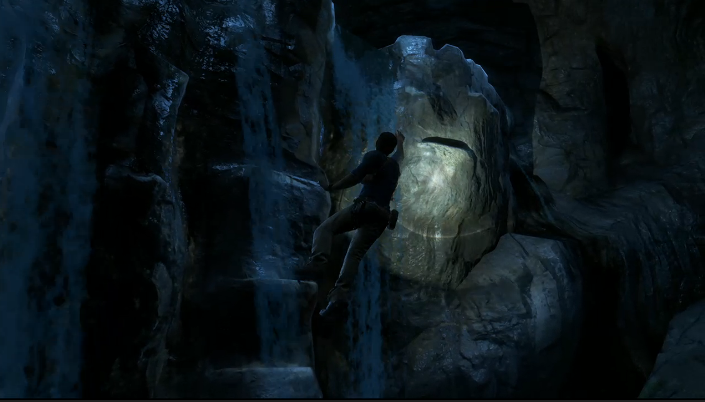 Sony gave Uncharted 4: A Thief’s End the honors of kicking off the PlayStation Experience keynote today in Las Vegas, Nevada with a 15-minute long gameplay footage that shows Nathan Drake, the main protagonist of the series, climbing around lush, visually stunning in-game environments with some new skills and mechanics. 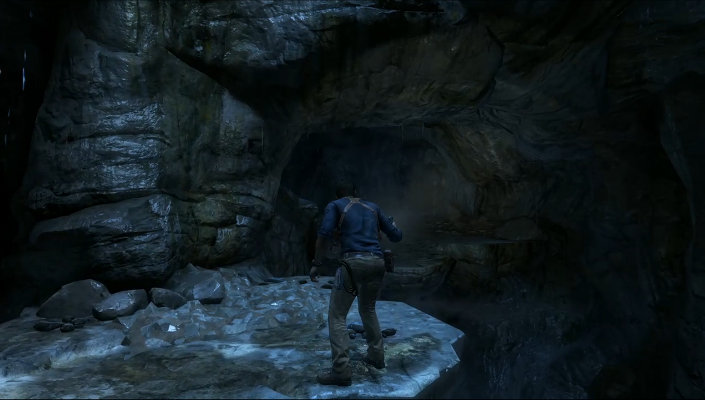 The gameplay footage was captured while the upcoming game was running in real time on the PlayStation 4, this means that all you see in the provided video is exactly what the game looks like right now on the console and it will only get better with time, that is if Naughty Dog is not compelled to make compromises. 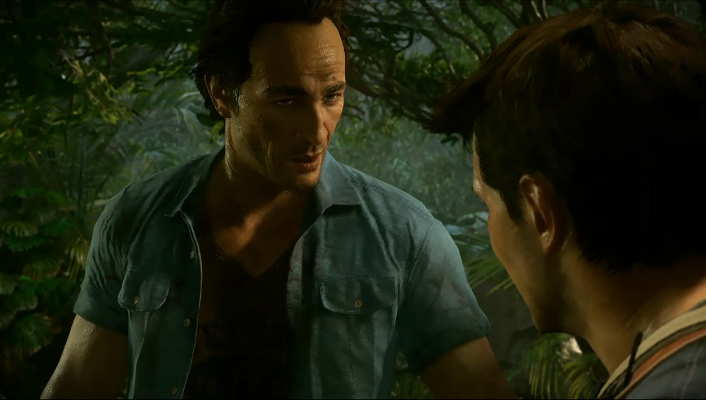 Officially revealed last year exclusively for the latest PlayStation 4 console, Uncharted: A Thief’s End sets Nathan Drake, who has retired as a fortune hunter now, on his greatest adventure yet to find answers and uncover the truth. 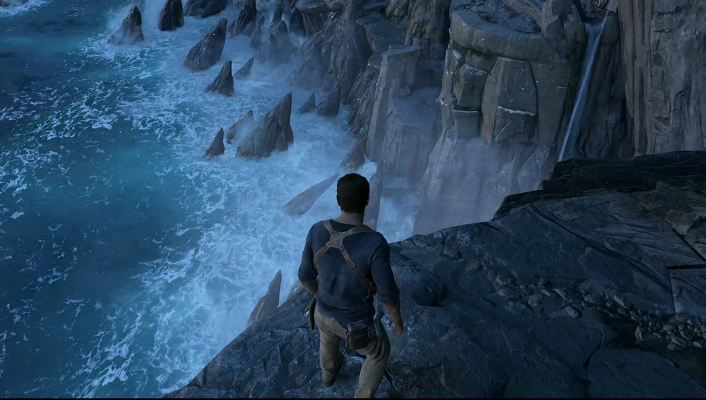 In the newly released gameplay demo, Drake is shown moving from a cliff-side view of the ocean to a dark cave with waterfalls. 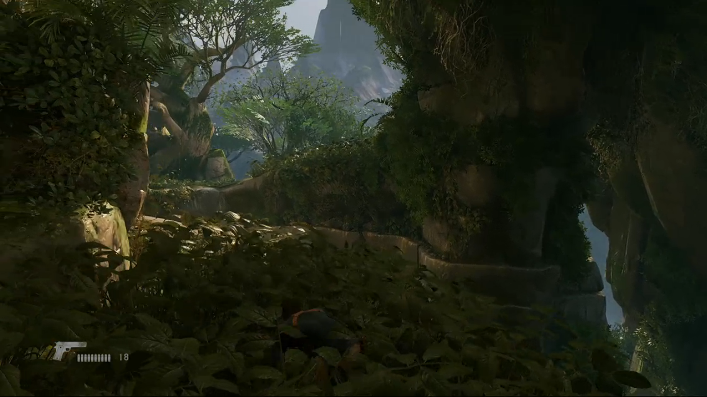 Everything from grass to water is impressively rendered with clear shadows and smooth edges. 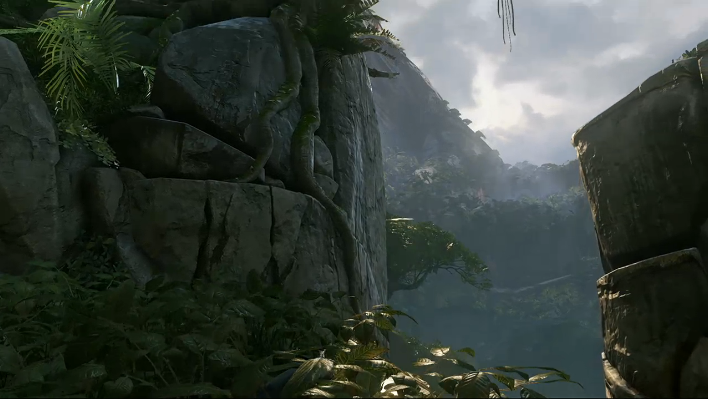 The moss and plants on the mountains are highly detailed and the draw distance, level of detail and lighting are all impressive. 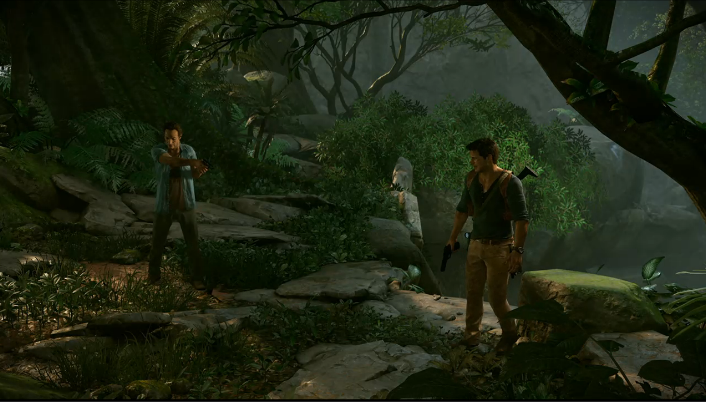 Naughty Dog has always created games that look great, and Uncharted 4: A Thief’s End is no exception, it really looks like a next-gen title. Despite being a bit rough at the moment, the game still looks splendid and gives a good example of what Sony’s new console is capable of when given in the right hands. Gameplay-wise, the upcoming game looks very much similar to the previous titles in the series, but it definitely features some new elements and mechanics. 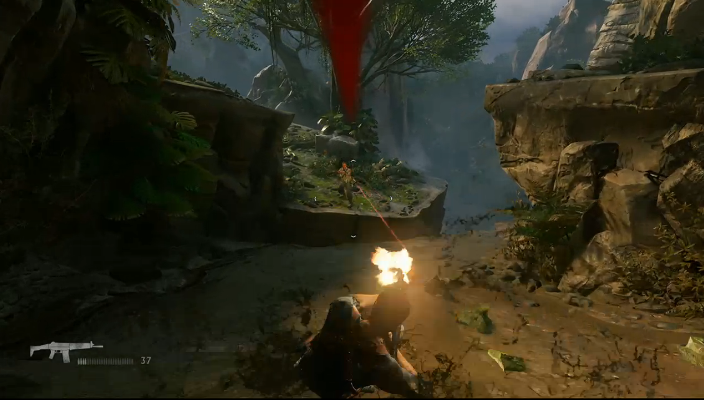 One of the new toys is a grappling hook-type tool using which, Drake can cover larger gaps. 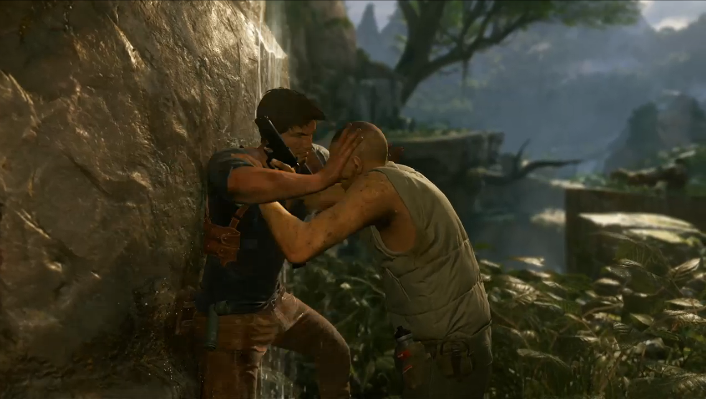 You can check out the new Uncharted 4: A Thief’s End gameplay footage right below. 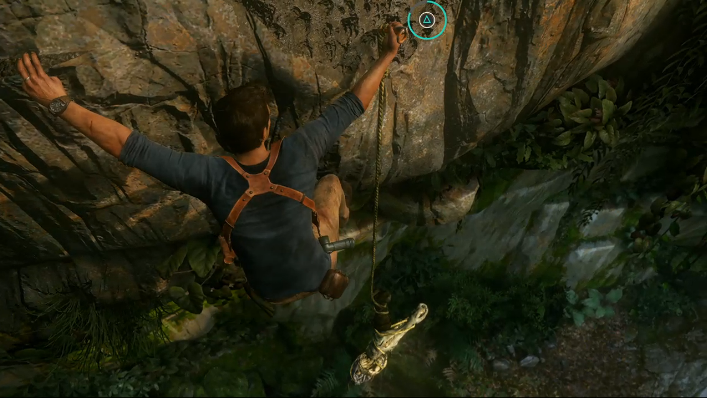 It looks like Drake also has a brother, who appears at the end of the gameplay footage after Drake makes his way up a rock wall. 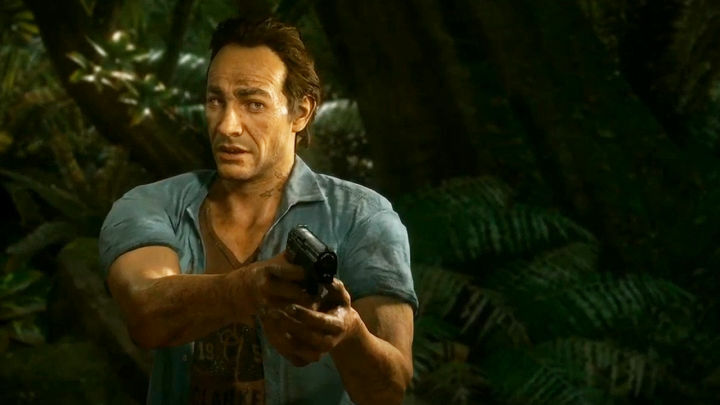 With a weapon drawn, the new character says; “Good to see you, little brother.” Turns out that Drake’s mysterious elder brother is voiced by no other than our very own prolific male voice actor Troy Baker. 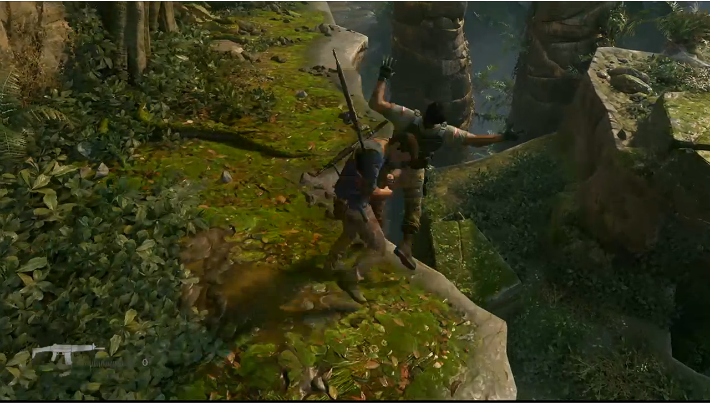 There’s even a glitch in the game that pops up during the gameplay video, so we know that it is a real time footage and has been recorded right off the PlayStation 4 console. Of course, bugs are obvious during production time, so you can just ignore that. Check out the screecaps from the footage below.